>> as well as neurological complaints. Through its intelligent therapy method, the HD2000 + can respond individually to painful, inflammatory and chronic conditions in the tissue. The HD2000 + offers you as a doctor or therapist a fast and flexible use in practice. 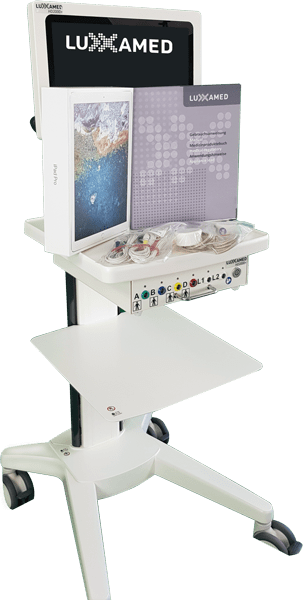 Thanks to the innovative WIFI technology, the therapy can be operated easily and quickly via the Luxxamed medical Panel PC or an iPad pro. How does HD2000 + work? The therapy and effect of the HD2000 + is not able to induce a pain attenuation, but rather begins with the regulation of the metabolism, in order to effect a clear and fast effect in the improvement of movement and at the same time pain reduction! The unique selling proposition of the HD2000 + lies in its ability to work interactively via a software algorithm. He is able to treat acute and chronic conditions simultaneously through his electrical parameters. The conformity assessment procedure for CE marking was carried out in accordance with Annex II of Directive 93/42 / EEC. According to Annex X of Directive 93/42 / EEC, it is mandatory to demonstrate clinical conductability in the context of “authorization" (CE marking). The effectiveness of the HD2000 + is according to MEDDEV 2.7.1 rev. 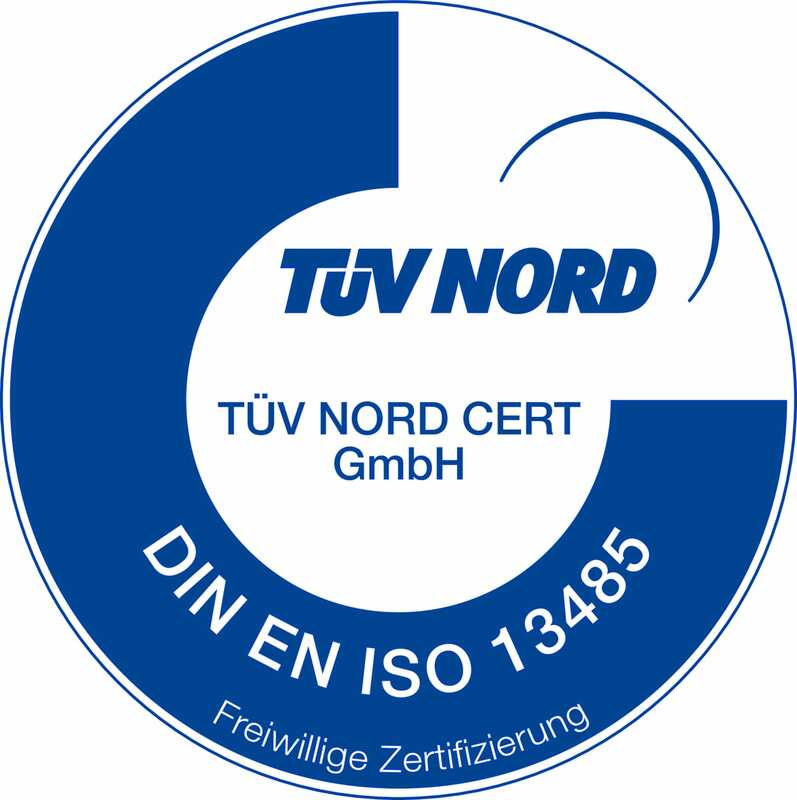 04 and tested by TÜV Nord. The HD2000 + provides its users with a WIFI network for convenient and easy operation via an Apple iPad 12.9 “. The therapy unit of the HD2000 + can be quickly removed from the docking station of the equipment cart, so that the therapy is also available to you on mobile! 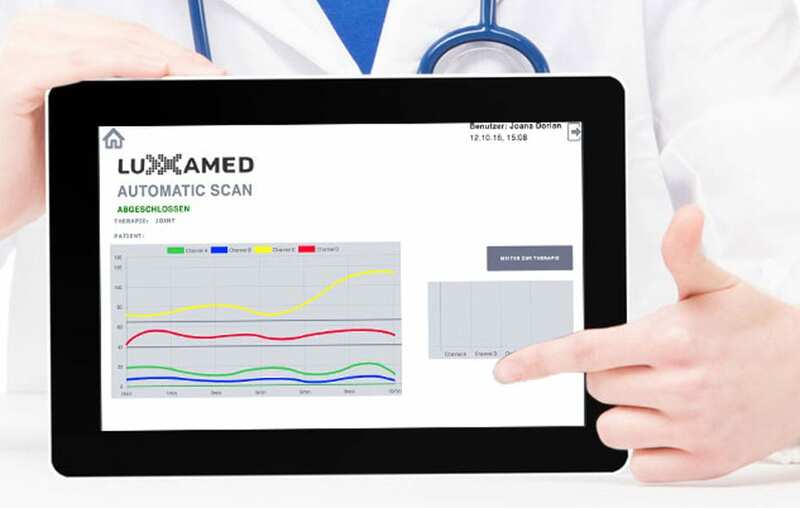 Follow the progress of the therapy and the reaction of the tissue live, on the iPad or the Luxxamed Panel PC. Experience how states change in the patient's metabolism, which can alter the pain and range of motion. The HD2000 + has in addition to therapy via electro-metabolic potentials via a LED light therapy. This form of therapy is confirmed in its effect by the Fraunhofer Institute. 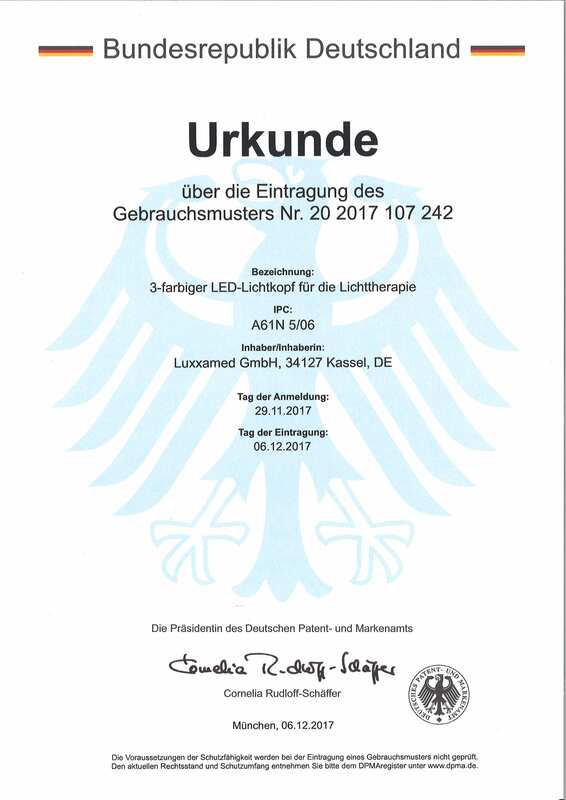 The effect of LED light therapy unfolds through the absorption of different wavelengths (colors: red, green, blue) through the patient's skin. What does LED light therapy bring to patients in practice? In the therapy with pain patients you can selectively on z.B :. We have set the highest legal and qualitative standards in the selection of materials. 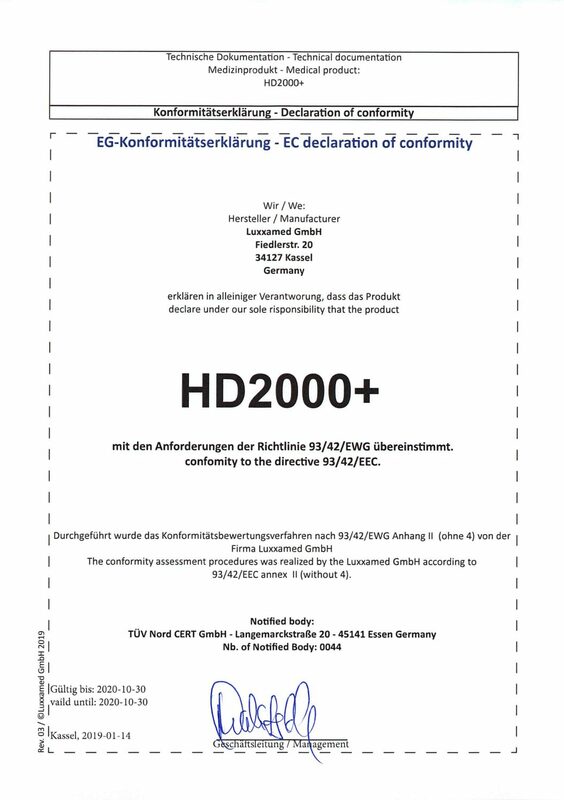 The light heads of the HD2000 + use only biocompatible material. This means for you, you can bring the light heads directly to the intact skin of the patient and then disinfect the light heads. The light heads of the HD2000 + were gem. DIN EN ISO 10993 tested for biocompatibility. The operation of the HD2000 + is completely menu driven. Via the touch screen of the Panel PC or the Apple iPad, you can evaluate the therapy results and plan further therapy sessions. Using the panel PC specially developed for the HD2000 +, you can operate the entire device. The 15.6 “large touch screen offers clarity and stability alike. Equipped with an SSD (Solid State Disc) you work up to 8 times faster than with other therapy devices. 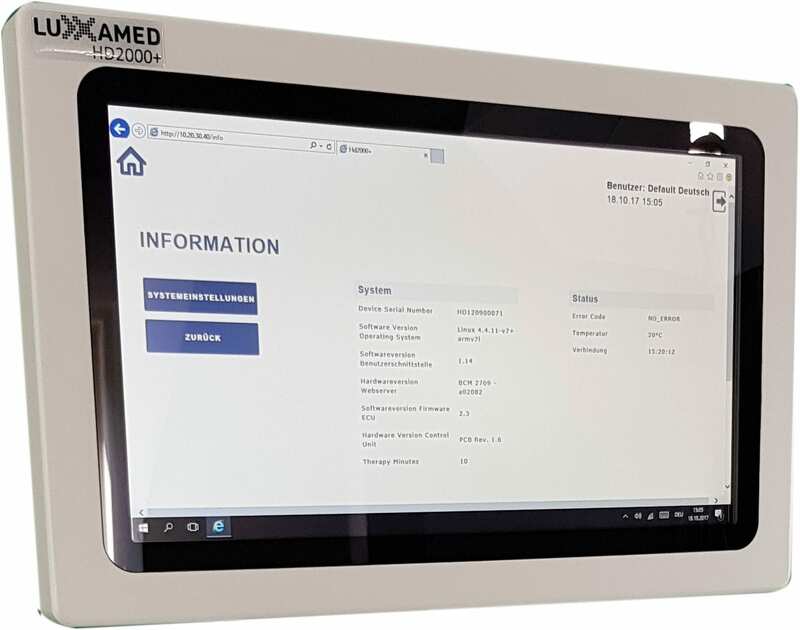 Windows 10 embedded, as an operating system, ensures a smooth application and helps the HD2000 + to operate intuitively. 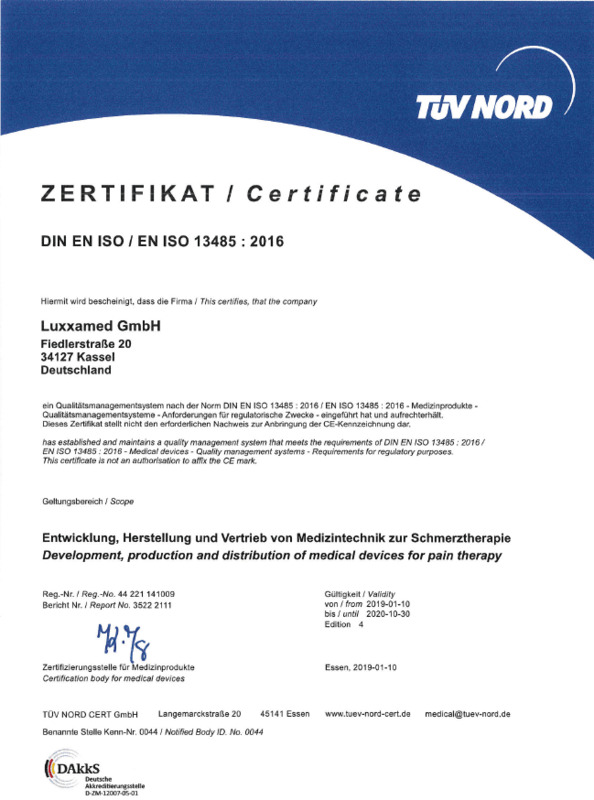 The Luxxamed Panel PC meets the requirements of IEC 60601-1 3rd Edition as part of the HD2000 + therapy system. Via a WIFI (wireless) connection, you have the option of using the HD2000 + on a mobile device. With an Apple iPad you can access your data and create therapies or continue existing ones. Get all the benefits of an iPad Pro with a 12.9 “screen – use the HD2000 + upright or in horizontal resolution. At the same time, you can pull the therapy unit of the HD2000 + out of the equipment cart so that you can also carry out therapies without the equipment cart and the panel PC. 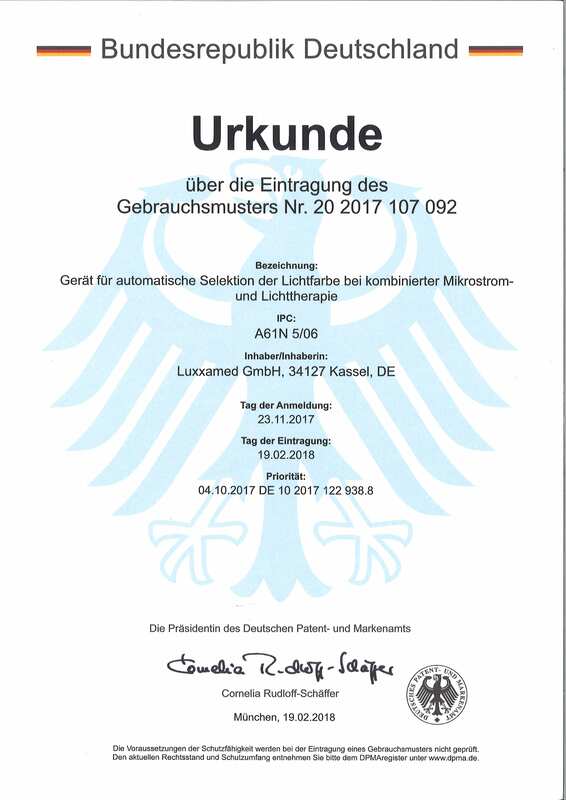 Approved - Certified - Protected!